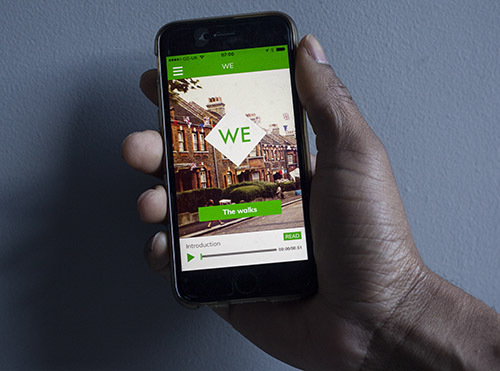 App | WE: the ex-Warner Estate in Waltham Forest. We have now published a mobile phone app which provides three guided walks to the Warner Estate, based on tours given by the Walthamstow Historical Society and the Leyton & Leytonstone Historical Society. The app includes audio, text and images for each point on the three tours. This free app is available to download from the App Store or Google Play, just search for ‘Ex Warner Project’.